Created by Chris Sanders. Stitch (a.k.a. experiment 626)is a blue colored alien genetic creation, has a very big similarity to a koala, and stands between 3 and 3.5 feet tall. He has a limited ability to change his physical appearance, can add a second set of arms, has antennae, claws and the three spines on his back into his body. He has a human bestfriend named Lilo Pelekai. Lilo & Stitch tv series aired on September 20, 2003 until July 29, 2006 in all part of the United States and also in some countries. It consists of two (2) seasons with 65 episodes. Johnny Bravo was premiered on the 7th of July 1997 and it lasted on the 6th of August 2004. It has four (4) seasons with sixty-five (65) episodes. The series was created by Van Partible. The series tackles the exploits of the title character. It was directed by Van Partible, Robert Alvarez, and Kent Butterworth, among many others. Who would think that even in their early days they are already a hero?. Teen Titans consist of five super heroes in their early days. 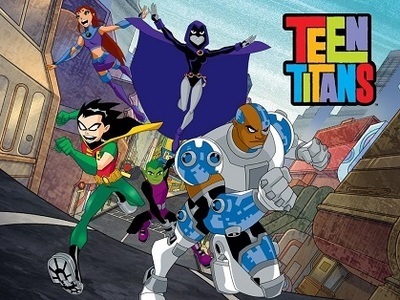 The members of the team are Robin, Starfire, Cyborg, Beastboy, and Raven. They also live in a T-shape tower also known as the Titan Tower. They help each other in their quest to Defeat their arch enemy "Slade". It is in the year 2040, when Bruce Wayne (Batman) had already retired as the dark knight due to his age. One night, after Terry McGinnis(A 17 years old student) helped a passenger and saves her girlfriend from the members of a gang called "The Jokerz" was chased by the same group and had bumped to Bruce Wayne. After defeating the group of bad guys, Wayne had a heart attack. Terry help him go inside the Wayne Manor. Unexpectedly, He had discovered the secrets beyond the house of Bruce Wayne. He was then trained by Bruce Wayne to become the new version of Batman that will help Neo-Gotham in fighting crime and corruption in the city.